worn by a fellow firefighter at Becker's sentencing. It was a week ago when I first learned that Becker would be taking a plea on the involuntary manslaughter charge. Today, when I was walking up to the front entrance of the criminal court building I saw four uniformed firefighters. As I was clearing security, more firefighters started arriving, along with what looked like friends and family members. Up on the 9th floor, the security station hasn't opened yet. There's a camera man in line in front of me along with City News reporter, Terri Keith. Behind me are several friends and/or family members and a line of firefighters in uniform. Defense attorney Donald Re is here, speaking to another (friend?) attorney of Becker's, Jay Gottfriedson (sp?) who attended a few days of the prelim last year. I wonder when Becker will arrive. The security station staff arrive. I clear security and take a seat beside Terri Keith in the hallway right outside Judge Perry's courtroom. Judge Perry does not allow any electronic devices, not even for taking notes so I will not be able to use my laptop. More firefighters arrive. Terri tells me that Becker had already surrendered. 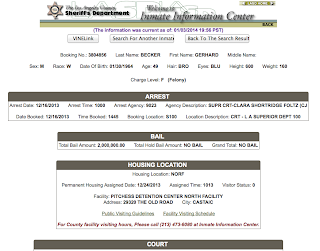 He's been in custody since December 16th, 2:45 pm, three days after the last pretrial hearing. Even more uniformed firefighters arrive. The courtroom gallery will be full. I call my friend Matthew McGough to tell him he better get here soon or he might have trouble getting a seat. The courtroom is opened and Terri Keith and I take a seat in the front row. Media cameramen enter and check with the bailiff. The bailiff tells them that Judge Perry has already decided there will be no photography or video taping of the plea and sentencing. That's interesting. Usually Judge Perry allows video taping of sentencing. I try to take a count of the room. At the moment, there are approximately 20 firefighters in uniform, and six to eight civilian dressed family members. 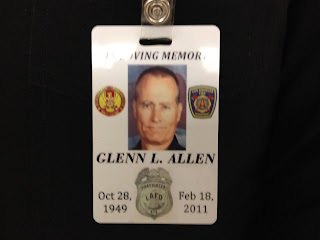 The firefighter sitting to my left, (the name plate on his uniform says "Slack") tells me he was Glenn Allen's partner. He also points out Glen's wife and daughter who are sitting in the front row. I tell Firefighter Slack that I covered the case from about two weeks after the arrest. Captain Watters, who testified at the preliminary hearing is here. The back and front row are filled with firefighters. Attorney Re emerges from the jail holding area and sits at the defense table for a moment. The AP reporter is here and Matthew arrives. There are other reporters in the courtroom, but there isn't anyone that I immediately recognize. Judge Perry's clerk, Melody asks if anyone has seen Sean (DDA Carney) yet. LAPD Robbery - Homicide Detective Greg Stearns arrives with two other suited gentlemen. DDA Carney finally enters Dept 104. He stops to greet the family. Melody addresses DDA Carney. "Sean, let me know when you're ready." He replies, I need a couple minutes." Carney then goes over to the clerk's desk with some papers and Melody goes back to Judge Perry's chambers. Jane Robison from the DA's office arrives with two others from her staff. Speaking to the family, DDA Carney outlines who will speak first from the family and who will follow. I look over at Glenn's wife who appears stoic and composed. I'm over come with sadness. It's just an emotion that overwhelms me and I don't know where it's coming from. DDA Carney and Mr. Re have a quick chat and then Carney asks to see the judge briefly in chambers. Re and Carney go back. I struggle to get a hold on my emotions. A reporter from local KNX radio arrives and inquires about audio taping the proceedings. The bailiff tells him the judge hasn't ruled on that yet. LAPD Robbery - Homicide Detective Dan Meyers arrives and joins Detective Stearns in the well. (Detective Meyers testified for the defense in the Stephanie Lazarus case. I met him at the Ka Pasasouk preliminary hearing. DDA Carney and Mr. Re emerge from Judge Perry's chambers. DDA Carney informs the family that only direct family will be allowed to speak. Firefighters who worked with Glen will not be allowed to give an impact statement. I pass my card to Firefighter Slack and tell him that I will publish any statement in full. Becker is brought out from the jail area. He's in jail blues. Re leans in and whispers to him. Judge Perry takes the bench and greets the room. "Good morning, everyone." He goes on the record in People v. Becker. Judge Perry starts off by stating there is a request for camera and still photography. Those requests have been denied. "I have a request for audio recording. ... I'm denying. ... I don't feel it's appropriate." Re goes on the record to object to cameras. Judge Perry then starts talking about the case and how it started. "This case arose from events ... on February 16th, 2011, ... when a fire broke out in the defendant's home." 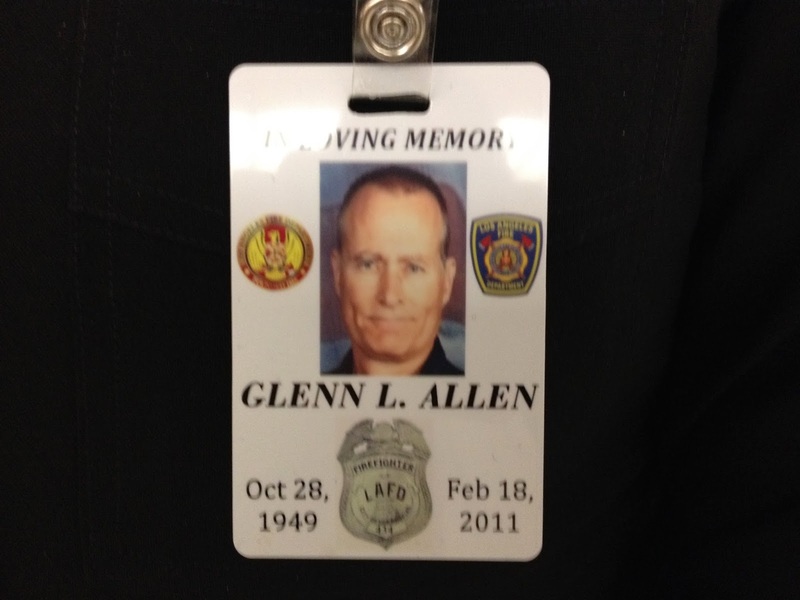 Glenn Allen, a respected firefighter died when a ceiling collapsed on him and other firefighters. The court has read various motions and read the preliminary hearing transcripts and had numerous conferences with attorneys. Judge Perry states he's also read the probation report. "I found several significant errors in that report and want to talk about them at this time." He reads a section of the report on page 3. "It's the court's view, looking at (documentation?) ... that these statements are false." DDA Carney states, "With respect to the fireplace installed in the top floor, ... there is evidence in the form of photos recovered from the defendant ... the fireplace was installed sometime ... in October 2010." He goes onto talk about the evidence of the other fireplaces is in the form of text messages that Becker sent. Judge Perry rules, "I'm striking from the probation report lines 18 through (?) because ... out and out false." I believe Judge Perry goes onto address DDA Carney, that the case was filed under the belief that Mr. Becker had "bootlegged in" the fireplaces after the building had passed inspection. I believe DDA Carney responds that he believes (or it's the position of the DA's office) that the fireplaces were installed prior to final inspection. "I don't know one way or the other. .. I know he did conceal many things (from the building inspector?). ... I don't know what unfolded." Judge Perry talks about the Building & Safety inspector, Mr. Brad Bescos, and the court's opinions about Bescos' testimony and the problems with that testimony. Mr. Re responds about the fireplaces. Judge Perry responds that he doesn't believe Mr. Bescos. "I don't believe him." Judge Perry then moves onto another part of the probation report that he has a problem with. He reads from the document. "... states circumstances and aggravating (?) ... took advantage of the public trust." He then comments, "I don't understand that, public trust." DDA Carney responds. "There are numerous instances where the defendant concealed things from Building & Safety," and he outlines some of them. Judge Perry asks Carney, "Do you think that Mr. Bescos had a problem with the truth?" Carney responds, "I think there were some problems ... the fire stops. ... There were none. ... The people's view ... He (Bescos) remembered that statement at the prelim where he never mentioned it before." Judge Perry comments that the people made no effort to file perjury charges against Mr. Bescos. I believe DDA Carney responds at this point that it's the people's position that Bescos did not lie on the stand. Judge Perry states he is striking the other statement from the probation report. "I don't think there's anything under the law..." He goes over more in the probation report, and then moves onto the fire stops (aka fire blocking). "One of the difficulties is the lack of fire stops. ... The fire went from the fireplace to a void area, ... up the void area and across the ceiling ... and there were no fire stops in the void area." Carney states that's absolutely correct. I believe Carney adds that the inspector, Mr. Bescos approved insulation as a fire stop even though he never inspected it. "(The) inspector stated that insulation is approved as a fire stop but it was never inspected to see if it was done." There is more discussion on what the court characterizes as the failures of the building inspection. Judge Perry comments on Captain Watters' testimony on the ceiling collapse. "In all his years ... he had never seen a ceiling come down ..." He then moves on to Inspector Thost's testimony, that one of the reasons the ceiling came down was a lack of fire stops. DDA Carney states he wholeheartedly agrees with that. Judge Perry states that Mr. Becks is responsible, but also there's partial responsibility of the Building Inspector. DDA Carney replies, "That's an impossible standard. ... The Building & Safety Code recognizes this." Carney quotes the code that covers this. "Ultimate responsibility lies with the builder. .. In the code..." I believe DDA Carney explains that the building inspectors are limited in what they can do. They can't verify every single step in the building process on every structure that is built. Judge Perry states how long he's been a judge, 22 years and that he's tried many felony trials. He mentions he's presided over 268 murder trials. He also mentions that he presided over the John Orr trial, a major arson case. "John Orr, ... tried in this court and convicted of murder. ... I have made an offer to the defendant of probation and 1 year in custody. ... I've done so for the following reasons. ... In the courts view, the fire was clearly unintentional. ... the defendant and girlfriend were sleeping in the house (at the time the fire broke out). ... no prior record. ... (The) court has serious issues of proof ... and loss of life. ... Mr. Re, ... perhaps ... talk about firefighters exception to firefighters (suing?)?" Firefighters are prohibited from suing for injuries while fighting fires, etc. DDA Carney adds there is a general rule that civilly, they are not allowed to sue. Firefighters are not allowed to sue under their duties fighting fires. I believe it's Judge Perry who adds that Becker went out of his way to ensure that the family was compensated for their loss. Mr. Re states a "substantial settlement" was reached with the family and paid by the insurance company. My notes are not clear. I believe it's Judge Perry who states, "To me, (the settlement) ... reflection of genuine remorse." There is a real difference between the court and the DA's position. Becker will be in custody six months verses one year. I believe DDA Carney adds, "I believe the defendant will be removed from the US after serving his term and will not be under the jurisdiction of the court." (Regarding the probation.) Judge Perry adds, "Under law, since the court has made that offer, the court is bound by it." DDA Carney, with all due respect to Judge Perry, now puts on the record the DA's position on the lesser sentence offered to Becker by the court. Carney and Judge Perry exchange pleasantries as to their high regard for each other. I believe Carney states," We have a difference of opinion. ... I know I probably won't persuade the court." DDA Carney agrees that "... although there are issues of credibility with Mr. Bescos, ... those issues don't mitigate the defendant's own culpability in this case. ... The defendant is responsible for construction in this case." Judge Perry responds "I accept that." I believe DDA Carney continues, "He admitted that he built the house. ... He built the fireplace because he said he wanted it done right. ... He was going to do it is way regardless of Building and Safety. ... The defendant was driven by cost and time. ... (His) goal was to market it to a TV production and do it on a constricted time scale. ... Building and Safety was an obstacle to that. ... Glen Allen died because the defendant put an outdoor fireplace in his house. ... It was a violation of any reasonable construction standards. ... He installed a fireplace using wood and drywall. ... He installed a fireplace with gross and inadequate venting or no venting whatsoever. ... He compounded that by no fire stops in the void spaces. ... Just putting fire stops in that one (thing?) ... could have stopped or slowed down this fire. ... The defendant installed four of these fireplaces [in the home]. ... they were all outdoor ... never designed to be installed inside. ... All four showed clear evidence they failed in the same way as the upstairs fireplace. ... It wasn't something that unforeseen. ... All would have caused (a fire?) ... it just happened that the strongest was first. ..."
DDA Carney continues. "The defendant was not someone who was unaware (of building standards). He had a long experience of building in Spain. ... He was aware of the Building & Safety Code. ... He had a manual with him ... He used the book to argue with Building & Safety as well as contractors who didn't like the way he cut corners. ... He was aware of the manufacturer's instructions. ... He was aware of the manufacturer's warnings. ... Fact is, he just didn't care. ... Because he wanted to save costs and time. ... All appliances of this type must have a UL rating to be used indoors. ... The manufacturer's not only had instructions, ... the burners had large labels attached in the shipments that had warnings ... (that stated?) ... very important that there are 18" openings to allow ventilation and cooling. ... Without venting, (the fireplace) had a build up of heat, which was (inevitable?) in starting fires. ... It is beyond the pale of any industry standards. ... When Colorado Hearth & Home had (an inkling? these might be installed in a structure?) ... they wrote the defendant [that these were specifically for outdoor installation] ... The defendant wrote back, 'I am aware ... I just don't see the difference. ... It's a pit with a pipe.' ... The defendant wrote back that he would install venting after inspection ... "
"The disturbing, really truly part of the case ... after firefighter Glenn Allen died in his house ... he's doing reconstruction ... and he sends photos of jell fireplace (to his contractor) ... that are not approved for indoor installation. He writes, 'I ordered this fireplace. I would appreciate if you could ... I want this installed after the final inspection ... so we don't have any further delays.' ... After a firefighter died ... He sends an email to the realtor. ... He's talking about (external?) fire sprinklers ... which he hated the aesthetics ... that's what was important to him ... (aesthetics) ..." Becker de-installed the sprinklers. "His question to her was ... What do you think I should do? The first option he listed was ... take it out after inspection? ... The only thing that matters to him ... was the aesthetics." DDA Carney talks about Becker's contract with Tressor, (the TV production company that would have filmed Germany's Next Topmodel, where models would have lived in the defendant's home), and that the contract mentions violations in the building code, such as: 1) the removal of railings from the staircase; 2) the removal of the sprinkler system from the balcony; 3) the removal of the pool alarm. He failed to list the circumstances of the gross negligence in construction, making fireplaces out of wood and drywall. Carney then mentions the inadequate size venting in one of the bedrooms, that actually vented back into the bedroom itself. The venting went into the void space and back into the bedroom. This is an example of gross negligence, of a disregard for human life. "We know he sent an email ... requesting tiles to build another fireplace. ... We know that happened after the inspection. ... As far as he was concerned, Building and Safety was an obstacle to be skirted around. ... I addressed the fire stops. There were no fire stops in the wall." 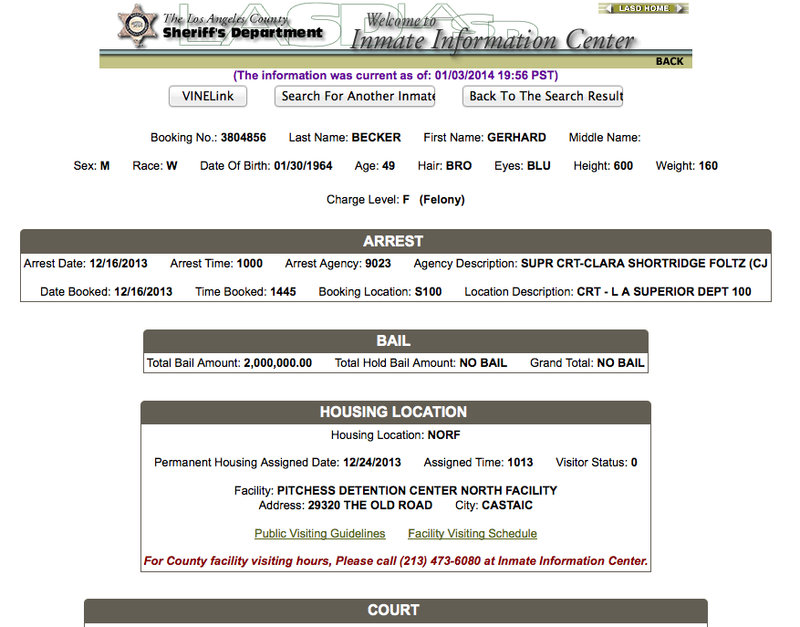 Judge Perry asks DDA Carney, "(You?) ..don't think that would give you a problem with a jury?" DDA Carney responds, "They would be rightfully more angry at his blatant disregard [for Building & Safety] ..."
DDA Carney continues to argue the DA's position. "In California, the Building and Safety inspector can't be responsible for all the defects that go into the building. ... Building and Safety (inspectors?) have very little resources to do what they do. ... They are an administrative agency, not an investigating agency. ... They rely on builders ... wanting to comply with the code. ..." Carney then tells the court, "I don't believe he lied under oath. ... There are issues with credibility, but I don't believe he lied. ... Mr. Bescos admitted when confronted with photos. ... He admitted that they had to have been there. ... When Mr. Bescos' supervisor asked him to look at ... [the fire that occurred in the fireplace at the defendant's home] ... his response was, 'What fireplace? There is no fireplace.' "
Judge Perry replies, "But isn't it more of a mitigating factor? ... bootlegged in after inspection?" DDA Carney agrees with the court there are issues, but he disagrees with where the responsibility lies. "I want to throw the book at him," Carney tells the court, "But I recognize there are issues with the case." DDA Carney brings up the Conrad Murray involuntary manslaughter trial, but adds that, "Michael Jackson was a willing participant. ... Glenn Allen was not." No settlement, no matter how generous, can make up for the loss of Glenn Allen's life. "I don't think probation sends the right message. ... All I'm saying is, ... this case should have a (?) under the Building and Safety code, because of the blatant disregard [for the code violations]." Defense attorney Re responds. He states that he's read most of the letters that the court received. He doesn't disregard or belittle in any way [the loss of Glenn Allen's life]. Re mentions the probation report and adds, "One of the things that concerns me is one of the (letters? probation report?) .... don't understand or are aware of (the?) complete circumstances of the case. ... None of the (document?) mentions Building and Safety and Mr. Bescos. ... The story that's out there ... because of the statement of Mr. Bescos. ... We produced to the court and the photos ... that are a part of the record." Re states that Becker did not try to hid the fireplace from the Building and Safety inspector. That it came out that Mr. Bescos said in a meeting (with the DA's), statements the DDA you heard would have testified to. Re acknowledges there are family members and other people in the courtroom who are hurt [by Glenn Allen's death]. "One of the great saving graces of our system of justice is putting a brake between (them and the defendant?) ... the court is aware of all of the facts. ... You see Mr. Bescos and how he lied throughout the entire process. ... Mr. Becker has a family he hasn't seen. ... Children he hasn't seen. ... He has accepted responsibility for his part. ... There is restitution that's been made to this family ... and he will be serving time in county jail. ... This is a difficult case, painful case for everyone. ... This man is being punished ... He is a good and decent man." Judge Perry states he is going to take the plea at this time. If he's not a citizen, he will be deported (after serving his sentence) as a result of the case. Defendant is sentenced to one year and probation. If he violates probation, he could be returned to custody. He will have to live with this for the rest of his life. The court mentions several court fines. A restitution fine of $280.00. A court security fee of $40.00, and I believe another court fee of $30.00. Judge Perry advises the defendant of his rights. That the defendant gives up his right to a jury trial. He gives up his right to cross examine witnesses. That he gives up his right to remain silent. " The charge is involuntary manslaughter, ... unlawful without malice, killing Glenn Allen, a human being." 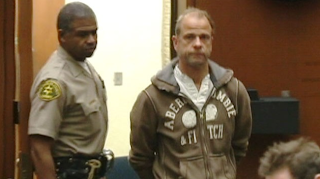 Gerhard Becker pleads no contest. Judge Perry states the plea has the came effect as a guilty plea. Victim impact statements are now requested. Judge Perry requests that the individuals address their comments to him and not the defendant. Melodie Allen, wife of Glenn Allen is called. "Thank you Judge Perry. ... Melodie Allen ... All these are not laws ... just words on a page ... A sentence has passed on me and my family. ... I have to ... I wake up knowing he is dead. ... I met him when he was 5 and I was 10. ... My life is ripped to shreds. ... My daughter has to live her life without her father. ... He was a main stay (in our family?) ... "
Mrs. Allen talks about how her daughter, in the last days of her pregnancy, had to watch her father die then rush to the hospital to give birth to her first child. "My son-in-law only had three years (with him?) ... but (Glenn?) always addressed him as 'son.' " Both her daughter and son are medical professionals. "They knew there was little hope. ... Their grandson will never feel his hug. ... We know what a loving, supportive man he was ... and why he will be missed. ... All were shaken to the core. ... He touched all those who knew him ... those who worked / interacted with him at the hospital. ... We had such plans for retirement. ... I know it's cliche, but we had plans of growing old together. ... I hope he was knocked unconscious, and not aware of what was happening to him." 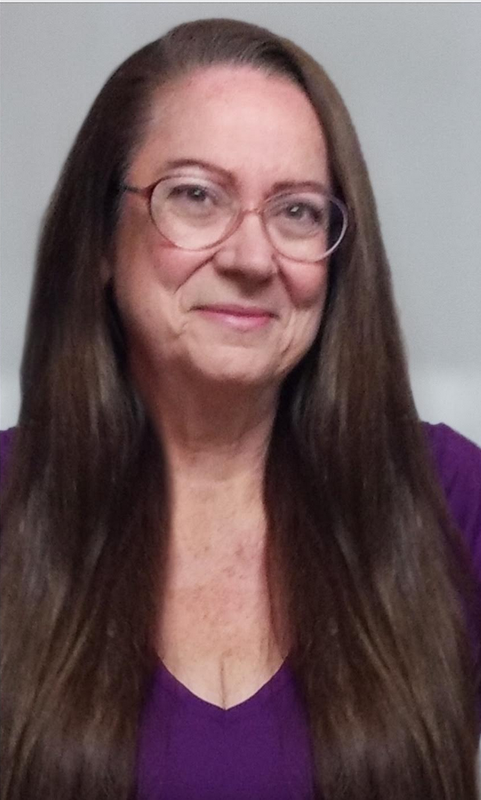 "Deborah Allen, ... Glenn's sister. ... I wrote a two page letter." Her voice starts to break. Judge Perry gently responds, "I know. I read it." "Melodie said it all beautifully as to how I feel. ... I was the middle ... there were three of us. ... We were close as any brother and sister could be. ... He would tell me anything and I could tell him ... anything. ... I miss his goofy smile. ... the hardest thing (I've?) ever had to do ..."
She starts to cry. DDA Carney is watching her give her impact statement. "I knew he was gone when I drove from San (Diego? Francisco?) that he was gone." She talks about her family and the shock of Glenn's death. "Our mother can't say his name anymore. ... The firefighters that were there that day, ... they will have to live with the fact that their comrade died. ... There were (other?) firefighters that were also injured. ... I want him to serve the full (term?) ... No probation." There are no other impact statements. Judge Perry states that the defendant has no right to address the court but if he wishes to address the court, I would allow it. Mr. Re states there is no statement from Mr. Becker. "I am of the belief this is the appropriate sentence for this matter. 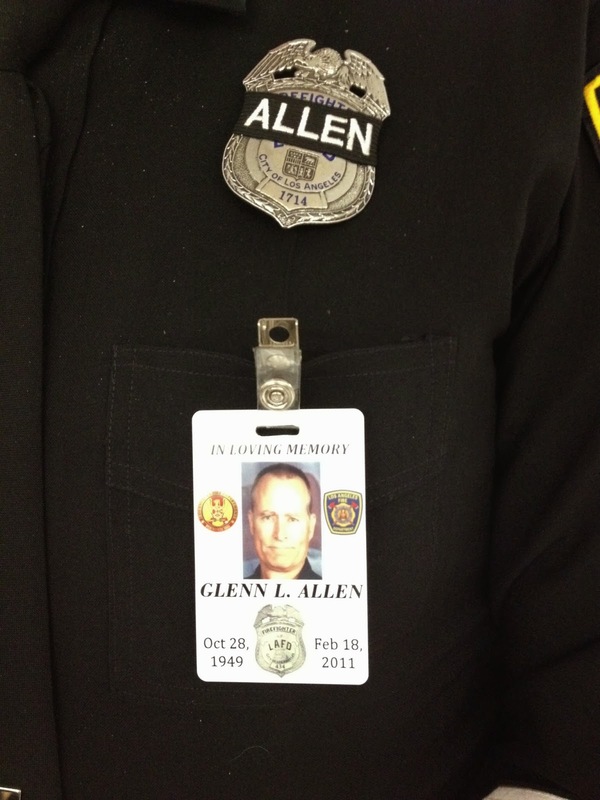 ... No sentence can replace the life of Glenn Allen. ... Defendant is placed on felony probation for three years. ... (including today there are?) 68 days good time credits. ..."
Judge Perry continues with the sentencing and fees but I don't note those. Mr. Re states he's filed a motion to return Mr. Becker's property. There is no objection from the people. As people start to file out of the courtroom, family, friends and their supporters hug. The defendant will serve six months on the 1 year jail term, (because he's in county and it's good time credit earning accounting. Becker has about four more months to serve, and then he will most likely be deported. I'm told that during the proceeding, the KNX reporter nodded out at times and appeared to be snoring. Matthew and I decided to attend the press conference on the 12th floor where DDA Carney will address the media about the case and Judge Perry's ruling. DDA Sean Carney, Arson Division addressing the media 1/3/14. I have an audio recording of the presser in two parts and lots of photos. I'm having difficulty getting the audio uploaded to YouTube. As soon as I resolve that, I will post an update with links. The media was promised a copy of Mrs. Allen's full statement via (I believe) email, however, I haven't received that yet. I know that two firefighters wanted to give impact statements, but Judge Perry would only allow immediate family to give impact statements. If there is anyone of Glenn Allen's friends or family that would like their impact statement in the press, I'm happy to publish that statement in full. Contact me via email at: sprocket.trials AT gmail.com. Not enough jail time. After his deportation, I hope he is never allowed in the German construction industry. For him, elegant-looking takes priority over safety and the lives of the occupants. My heartfelt condolences to the Allen family. I do hope his fellow fire-fighters post their statements here. ritanita, although a German national, Becker's current home is in Spain. 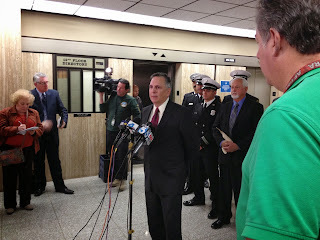 I believe DDA Carney addressed that in the DA's presser that I hope to upload soon.